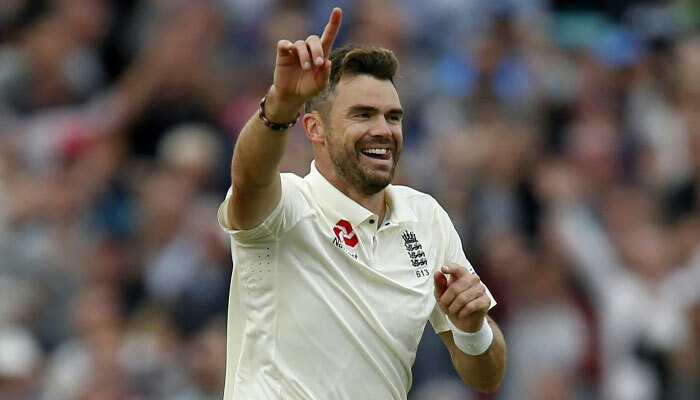 Anderson went past McGrath´s tally of 563 wickets when he knocked out Mohammed Shami´s middle stump as England bowled out India for 345 to seal a 4-1 series victory at the Oval on Tuesday. The Lancashire swing bowler, with 564 scalps, now trails just the spin trio of Sri Lanka´s Muttiah Muralitharan (800 wickets), Australia´s Shane Warne (708) and India´s Anil Kumble (619) in the all-time list. "When I sit down at the end of my career, when I finish, it will mean a hell of a lot to me to be able to see what I´ve achieved," he said. "But right now it´s hard when you put all your energy into the present and trying to perform well for England. That´s all I really focus on." When asked how long he would go on, Anderson, who no longer plays one-day cricket for England, said: "I don´t really think about it. I think I play my best when I focus on what´s ahead of me, the next game, the next series, whatever it is." "I read something that Glenn McGrath said," he added. "He went into the 2006 Ashes with no intention of retiring and then by the end of it he thought his time was up. That could happen to me. Who knows? I don´t like looking too far ahead."